Eldar & Nigar, are an Azerbaijani pop duo consisting of singers Eldar Gasimov and Nigar Jamal. They won the Eurovision Song Contest 2011 for Azerbaijan with their entry “Running Scared”. It was the country’s first ever win at the contest. Although Nigar Jamal represented Azerbaijan, she lives in Enfield, North London. If you really want something you just need to come and take it. Azerbaijani singer Eldar & Nigar have proved their next dream to take on the main European stage in the competition for the best song of Eurosong 2011 in Dusseldorf. They are nice to watch, easy to listen to and want to give their best to any fan of Eurosong. Want to find out more? if they want to preserve their privacy, EurovisionTalents.com has some special information about Eldar & Nigar just for you. First and foremost, Eldar and Nigar were born in Baku and started the first steps of their career. Eldar performed in school drama and amateur singing competitions, and Nigar was trying to raise things to the next level. I was 16 when I participated in the popular Azerbaijani vocal competition« Pöhrə ». That was my main experience in the music contest and I did it quite well. 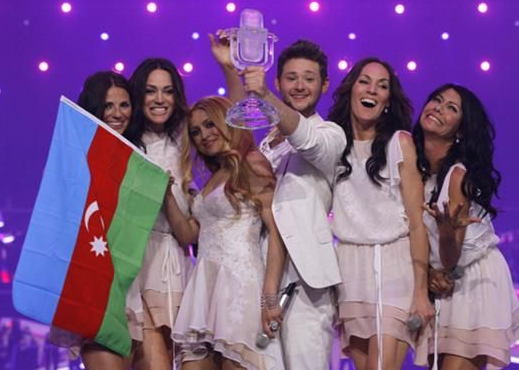 Since then, only the competition was the national choice of Azerbaijan. To be honest, I missed such excitement, “says Eldar. When it comes to this, both have been inspired by remarkable singers and performers – Nigar loves Rihanna and Jennifer Lopez, Eldar adores Celine Dion, Robbia Williams, and Lady Gaga. Perfect choice, right? Of course, music was not their only passion – Nigar graduated from economics, and Eldar had attended a course for international relations and even got a scholarship for study in Germany. He fell in love with that country, he traveled there several times to know German as well as his native Azerbaijani. Nigar met his second half in Baku and for a year they married and decided to live in London where Nigeria’s husband worked full time. The Eurosong Song Contest has been a dream for Eldar and Nigar for a long time. It’s the best start for a career that someone can want. ” – ističe Eldar.”>And this is the time of my life, “says Eldar. Nigar always adds that she started dreaming about Eurosong 2000 when she saw Alsou’s performance on the stage. It’s a melody and harmony of soul that’s lighter than air,” says Eldar with his eyes closed. And really nothing to add. They want to share your dream with you. They’re ready to give you a day with a breathtaking song. Prepare for Eldar & Nigar at Eurosong 2011 in Dusseldorf. It will surprise you and bring with you the true dream of Eurosong. It’s a promise! Azerbaijani entry to the Eurovision Song Contest 2011 in Dusseldorf duo Ell/Nikki is ready to present postcard video for their sensual ballad Running Scared. The official music video is coming early in April, stay tuned!